It is almost a decade in the soundproofing domain. When I started my career there weren't so many online resources to learn from. I had to struggle to find an answer to a simple question. But, things have changed now. Today you can get loads and loads of information just on a single click. Again, there is a catch in it. Well, in those days there weren't so many resources and today there are excess resources (information overload). It is very important to understand that finding a legit resource isn't as easy as you think. If you got lucky or you have a MENTOR, then you can excel very easily. Coming back to the topic, the simple and easy answer can be it DEPENDS. But I know you're not here to listen to this answer, right? I have a detailed answer for you. My team has helped hundreds of people to soundproof a room, and as a result, we have a good amount of data that we can use to come to some conclusion. Later in this post, we will share a range of data that will support our views. 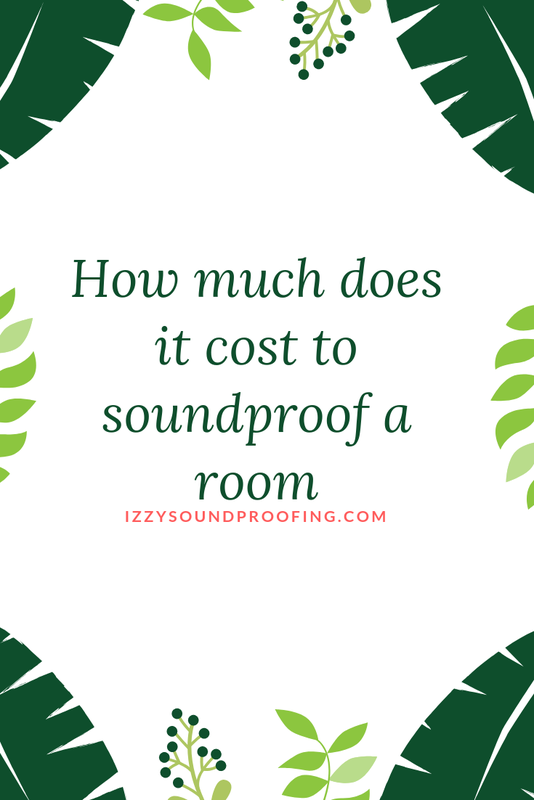 Before I start a discussion on the costing, allow me to discuss the steps involved in soundproofing a room. Soundproofing is a process that involves acoustic treatments to absorb, reduce or eliminate unwanted noise from entering a given space and vice-versa. If you want to soundproof a room, then you have to deal with two types of noises: internal and external. For the perfect soundproofing solution, you need to set up a system that can prevent the outside noises from entering the room, and at the same time, you need to also set up a system that can negate the internal noise such as television, drum, and household appliance noise. I hope you are on the same page as mine. Moving further, soundproofing a room involves soundproofing different components. I have mentioned it in the bullet points for better clarity. You will not have to spend a fortune on all the methods that we are gonna explain here. 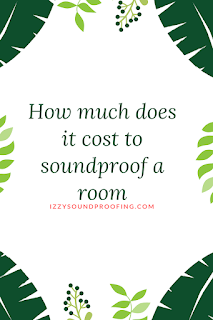 I am sure after reading this post, you will be able to answer the question, "How much does it cost to soundproof a room?". The walls of a room are the perhaps the toughest ones to soundproof, and at the same time, they form the major portion (area exposed) of the room. So, It's better to first discuss the costing for the walls. There are many products available on the market that you can use for soundproofing walls. Well, in the end, it all depends on your requirement and the budget that you can spend. The cost that I have mentioned against each product is an approximate cost, and you can expect a variation of 20%. Let's discuss each of this soundproofing product in details to help you select the one that caters to your needs. The mass loaded vinyl is well-known for its soundproofing capabilities. Be it an airborne noise or an impact one, this product will deliver as per the expectation. Personally, I have been using this product for a long time and, can assure you that it's a value for money product. However, every product has a limitation, and expecting it to perform beyond it can be unrealistic. The reason why I recommend the mass loaded vinyl to my client is that it can deal with almost every noise- vibration, reverbs, echoes, and airborne. It doesn't mean that other methods aren't good enough. If you are opting for the other methods, then you need to keep one thing in mind. A combination will work better for the other methods rather than going along with any one of them. I have tried quite a few types of mass loaded vinyl, but only a few of them were really good. I would like to talk about the mass loaded vinyl by Auralex, it's perfect for any kind of noise. A majority of my clients have given positive feedback about this product. The best thing about this product is that you can use it for walls, ceilings, and floors. You can cover an area of 120 sq feet at a cost somewhere around $400. Trust me, it's isn't a bad deal. This product has an easy installation process. You can place it on the outer surface of the wall or even inside the wall. Both will serve the purpose equally. It is specially made for the sound dampening purpose, and the thickness of the product really supports the company's claim. The mineral wool batts are popularly known as the "Rockwool Batts". It is a great soundproofing material and performs better when used in combination with other soundproofing products. The quality and efficiency of the mineral wool batt depend upon its thickness as well as the density of the material. This product is very popular in the construction domain. 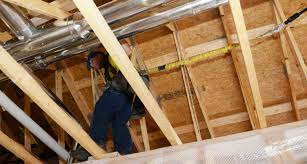 They are primarily inserted between the joists in order to add an additional layer of thickness to the wall. The mineral wool batt really scores high when it comes to the cheap soundproofing materials. They aren't only budget-friendly but also very effective. If we compare it with the mass loaded vinyl, it will be a bit pricey, but trust me, it's worth the price. Though there are many variants of this product still I prefer this one because it serves my purpose without taking a dig on my pocket. Do I really need to say anything about this product? If you would have ever done any online research on soundproofing materials, the BIG G... would have definitely shown the acoustic panels in the search result. 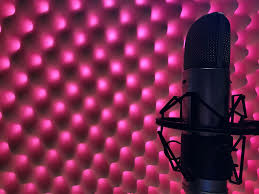 You can understand there popularity and effectiveness from the fact that they are used for soundproofing purpose in the studio. The acoustic panels are divided into two subcategories- foam panels and fiberglass panels. The foam panels are commonly used for reducing the echoes. These are thick foams used for soundproofing the home studio or a home office. They are perhaps the cheapest soundproofing material used in the music industry. You can get a pack of 12 in less than 30 dollars. One of the important reason for the popularity of the foam panels is the value for money product. It is very important to mention that the foam panels have limitations and, they can't completely negate the loud noise. If you are living in an apartment near the airport, railway station or a high traffic zone, then foam panel alone may NOT be the complete solution. So, for the louder noise, we have a fiberglass panel. They can be installed easily and without any doubt, they are more effective than the foam panels. When it comes to pricing, surely, they are more expensive as compared to the foam panels, but they have the capabilities to negate the loudest of the noise. Mostly they are priced at 3 times to the foam panel. A pack of 12 may cost you around $75 or above. Drywall can be a good option when it comes to soundproofing a room. There are two types of drywalls- soundproof drywall and regular drywall. Regular drywall can be used as an additional layer of defense against the incoming noise. Generally, I recommend the drywall for soundproofing purpose if the wall is thin or loads and loads of noise is entering inside the room via walls. In short, an additional layer to the walls ensures more peace. Installation is quite easy, and installing drywall in the 12*12 sq feet room may cost you around $ 600 or slightly above on an average. In most of the cases, regular drywall is more than enough to dampen the noise. However, if the response to the normal drywall isn't satisfactorily, then you will have to use the soundproofing drywall. As the name suggests, soundproofing drywall is specifically made for the purpose of deadening the unwanted noise. Therefore, additional soundproofing materials are added to its construction. As a result, the cost price of soundproofing drywall increases tremendously, and you can expect it to be almost twice the regular drywall for a 12*12 sq feet room. Gravity plays a crucial role when it comes to soundproofing the ceiling. Unfortunately, gravity doesn't allow you to use all the aforementioned methods. But, you can go with the mass loaded vinyl and the acoustic panel. The price will almost remain the same but the installation process will vary. Except for the foam, other soundproofing materials are quite heavy and, it is highly recommended to use professional hands for the installation purpose. Bonus Tip: You can ask the person living above your floor to add carpet to their floor. It can dampen the sound coming from the top floor. Although the method is highly cost-effective still it's success largely depends upon your convincing capability. The success of soundproofing a room depends to a great extent on how well you have soundproof the doors and windows. Soundproofing a window isn't a tedious task. However, selecting a correct method can be challenging at times. We will discuss some of the methods specifically designed to soundproof windows. Soundproofing curtains are great at dampening the unwanted noise. These thick curtains are made of soundproofing materials and are specifically designed to negate airborne noise. Bonus Tip: Always look for a soundproof curtain which has built-in grommets. There are a wide variety of soundproof curtains available in the market. 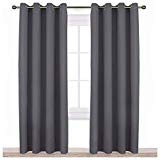 Some of the soundproof curtains are available at a very low price (<$30), but I will recommend you to go with a soundproof curtain that has grommets installed in it else you will have to spend extra bucks on the installation of the grommet. These curtains are a bit heavier as compared to the normal ones, so it is very important to install a strong curtain rod that can handle the curtain weight without getting damaged. Depending upon the shape and size the price of the curtain rod varies. However, you can get a decent curtain rod under 30 dollars. It is again a cost-effective method, and for a standard (2m*1m) window size, the costing will be less than 50 dollars. Since the shape and size of the windows vary so, the best thing that you can do is to go DIY way for window plug. You will acoustic foam, a handle, and a wooden panel for this purpose. On the downside, you will have to compromise with the sunlight. If you do everything correctly, you can make a window plug for less than $25. As discussed earlier, the materials used for making a window plug are easily available and cheaper also. For the optimum result, it is very important for you to seal all the gaps and holes near as well as on the window. At times, sealing the gap can be tricky. It is really easy to seal the gaps that are visible to our naked eyes, but what if the holes aren't visible? Though it may sound funny to you still I will recommend you to use a magnifying glass to check for the holes. Once you have found out all the small and big holes, then the next step would be to seal them. There are many tapes and adhesives available in the market for this purpose. You can either use a Weatherstrip (<$20) tape or an adhesive such as Green Glue (12 pieces for less than $250) for this purpose. The main difference between the weatherstrip and green glue is that the later is the permanent solution while the counterpart is a temporary solution in the context of sealing the gaps. Soundproofing a door isn't a tedious task. You can do-it-yourself under $150 easily. There are many ways to soundproof doors. We will discuss each one of them in details. Note: The price of all the soundproofing materials mentioned in this post is just an approximation. Real price may vary by up to 20 percents. The moving blankets were primarily used for safeguarding furniture, bookshelves etc against the damage that can occur during the transportation. However, due to their thickness and acoustic properties, they became quickly popular in the soundproofing domain. They are great at absorbing sounds, and thus can be considered a feasible option for soundproofing door. Bonus tip: The more layers the moving blankets have the better they are at dampening sound. 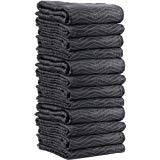 You can get a good moving blanket ( 72" * 80") in less than 45 dollars. I have bought a one for myself and, I can proudly say that it matched my expectation. Remember, they are quite heavy and, you may need an additional rod to hang them. The entire cost of soundproofing a door using blanket will not cross $65 marks even if you include the cost of a curtain rod. We have already discussed that acoustic panels can be put at any place where we want to dampen the noise. In case, you are planning to put acoustic panels on your doors, then you already know the price. [Related]: How to soundproof a door? The fiber panels are thrice as costly as the foam ones, but the price is worth every penny. Depending upon your requirement, you can select fiber panels or foam panels. When we are talking about soundproofing a door, then can we ignore the importance of the space between the door and the floor. Well, this is the space which gives easy passage to the sound waves to travel out and vice-versa. I hope you will agree with the fact that the most problematic part to soundproof is the bottom of the door. Similar to soundproofing windows, for the rest of the part, you can use weatherstrip tape. I will recommend you to go with the silicon door sweep, it performs amazingly well. You can get this product in less than 10 dollars. I have tried a lot of alternatives, but let me tell you my secret, no solution comes even near to this door sweep when it comes to the soundproofing the bottom of the door. The door sweep can also be helpful when it comes to thermal leak and preventing the bug from infecting the room. It is very unlikely that you will receive sound coming from the apartment beneath your's apartment. I personally use carpet to reduce the echoes. I will recommend you to go with a thicker carpet, and the good news is that the carpet has other benefits also. It has a good insulating property, and thus keeps the room warm in the winters. If you are tight on the budget, then try this carpet, it is cost-effective and affordable. A decent carpet with great soundproof properties will NOT cost you more than 100 dollars. The chimney soundproofing is easy and highly affordable. It will not take a dig on your pocket. I recommend to soundproof chimney using the chimney balloon method. This method is very popular among the soundproofing enthusiasts for giving a tangible result. The process is very easy and, by no means, you will need any professional hand. Simply, put the balloon into the chimney, and rest will be taken care by the balloon. It will block the noise from the wind coming through the chimney. You can try this effective and budget-friendly chimney balloon. It will cost you a bit more than $50. This chimney balloon has a good lifespan. 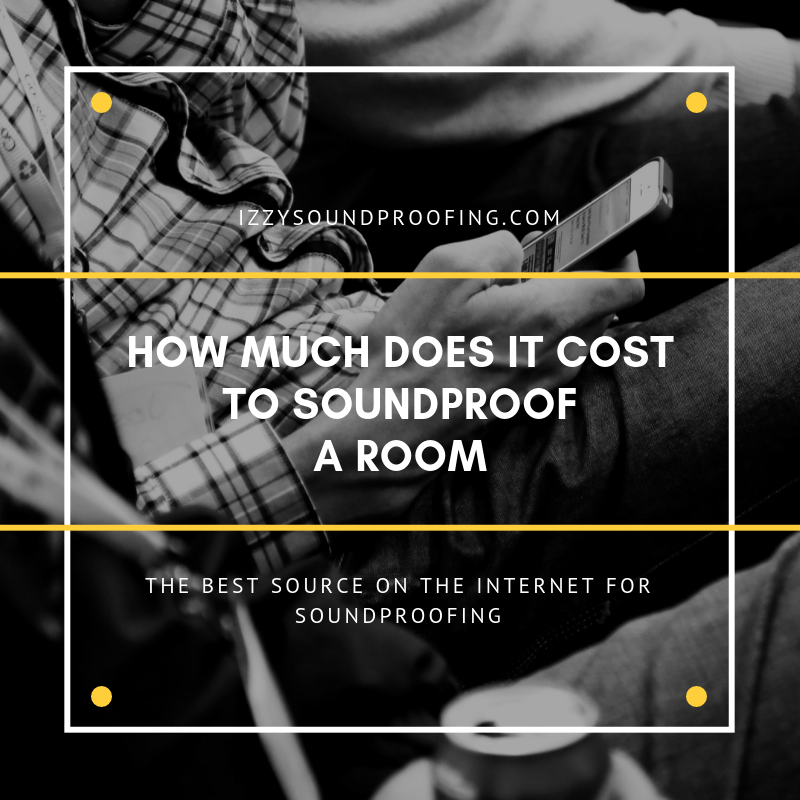 Wrapping UP: How Much Does It Cost to Soundproof a Room? I hope this post will be an addon. Soundproofing a room is something that you can easily go for if you have a decent budget. As mentioned earlier, out of all the segments, soundproofing the walls of the room is a bit costly, and at times requires some professional help. Rest of the segments such as soundproofing windows, doors, floors etc will NOT cost you more than $100 each. So, I hope now you can have a rough estimate, and can also decide on the methods that you wanna go with for soundproofing your room. In case, you have tried some other methods, share with us also, it will help our readers.